Until early 2013 the only serious avian flu threat on our radar was HPAI H5N1, which first emerged in 1996, sparked a mini-epidemic in Hong Kong a year later - and then after disappearing for 5 years - resurfaced again in 2003. By the end of 2006, it had killed millions of birds, infected hundreds of people, and had been detected in more than 60 countries. 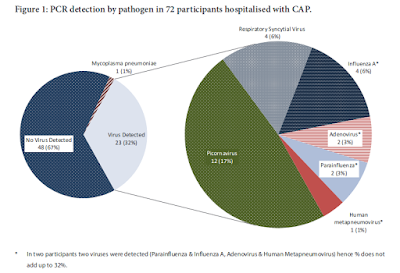 While there were some `also rans' - HPAI and LPAI avian flu subtypes that sparked outbreaks in poultry (H7N7, H7N3, H9N2, H5N2, etc.) - none were regarded as posing the kind of threat to humans and the poultry industry that H5N1 did. At least, not until the spring of 2013, when a new LPAI H7N9 virus emerged in Eastern China. Asymptomatic in birds, it nonetheless produced serious illness in humans, and in its first three years has nearly caught up with H5N1 in terms of human cases and deaths. Over the 12 months, China would see three other important avian flu viruses emerge; H10N8, H5N8, and H5N6. Since 2013 we've seen the number of avian flu threats explode around the globe, and new incarnations, clades, and subtypes continue to emerge. Admittedly H5N6 has nowhere near the track record of H5N1 or H7N9, but virus continues to spread in China, has infected at least a dozen people (causing serious illness or death), and may eventually move beyond China's borders. All of which makes it important we watch for any signs of human or mammalian adaptation of the virus. Avian adapted flu viruses bind preferentially to the alpha 2,3 receptor cells found in the gastrointestinal tract of birds. While there are some alpha 2,3 cells deep in the lungs of humans, for an influenza to be successful in a human host, most researchers believe it needs to a able to bind to the α2-6 receptor cell found in the upper airway (trachea). This week we have a new study (alas, behind a pay wall) that looks at four H5N6 isolates collected from Chinese waterfowl in 2013-2014, and finds them not only `fully infective and highly transmissible by direct contact in ferrets', but that they also have a `high affinity' to binding to human α2-6 receptor cells. Highly pathogenic avian influenza H5N6 viruses exhibit enhanced affinity for human type sialic acid receptor and in-contact transmission in model ferrets. Sun H1, Pu J1, Wei Y1, Sun Y1, Hu J2, Liu L1, Xu G1, Gao W1, Li C1, Zhang X1, Huang Y1, Chang KC3, Liu X2, Liu J4. Since May 2014, highly pathogenic avian influenza (HPAI) H5N6 virus has been reported to cause six severe human infections three of which were fatal. The biological properties of this subtype, in particular its relative pathogenicity and transmissibility in mammals are not known. We characterized the virus receptor binding affinity, pathogenicity and transmissibility in mice and ferrets of four H5N6 isolates derived from waterfowl in China from 2013-2014. 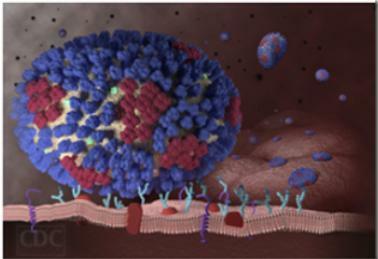 All four H5N6 viruses have acquired binding affinity for human-like SAα2,6Gal linked receptor to be able to attach to human tracheal epithelial and alveolar cells. The emergent H5N6 viruses, which share high sequence similarity with the human isolate A/Guangzhou/39715/2014 (H5N6), were fully infective and highly transmissible by direct contact in ferrets but showed less severe pathogenicity in comparison with their parental H5N1 virus. The present results highlight the threat of emergent H5N6 viruses to poultry and human health and the need to closely track their continual adaptation in humans. Extended epizootics and panzootics of H5N1 viruses have led to the emergence of the novel 2.3.4.4 clade of H5 virus subtypes including H5N2, H5N6 and H5N8 reassortants. Avian H5N6 viruses from this clade have caused three fatalities out of six severe human infections in China since the first case in 2014. However, the biological properties of this subtype, especially the pathogenicity and transmission in mammals are not known. Here, we found that natural avian H5N6 viruses have acquired high affinity for human-type virus receptor. In comparison with parental clade 2.3.4 H5N1 virus, emergent H5N6 isolates showed less severe pathogenicity in mice and ferrets, but acquired efficient in-contact transmission in ferrets. These findings suggest that the threat of avian H5N6 viruses to humans should not be ignored. Although a binding to human α2-6 receptor cells is considered the biggest single obstacle for an avian virus to overcome in order to successfully jump to humans – it isn’t the only one. Avian viruses also typically replicate best at the higher temperatures found in birds, and would need to adapt to the lower (roughly 33C) normally found in the upper human respiratory tract. There are other factors – some we know about, others we don’t – that must come in sync to allow an avian virus to become a `humanized' virus. While H5N6 may not be the virus that pulls all of this together, the growing constellation of HPAI avian viruses in the wild increases the odds that someday one of them will.